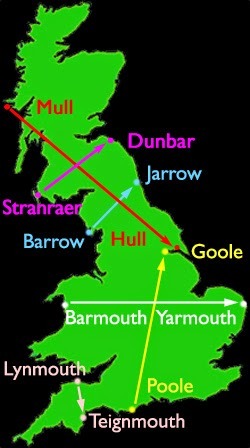 The first few miles of today's ride I'd done last year, between Wheelton and Hathersage on my Cape Wrath to Dover ride. It was déja vu all over again: like then, I got lost thanks to works closures and missing signage. After Stockport it's a bit hilly, with ups and downs. 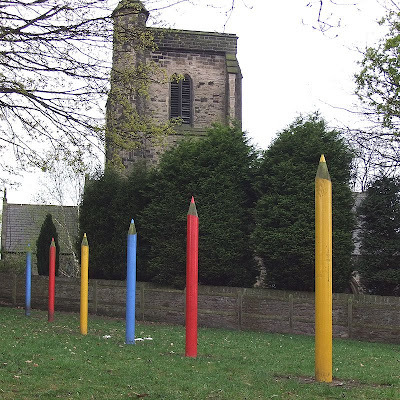 You go past this churchyard in Charlesworth, east of Broadbottom. I've no idea what's going on here, and my Googling has produced nothing except websites trying to flog me 'Christian pencils', whatever they are. 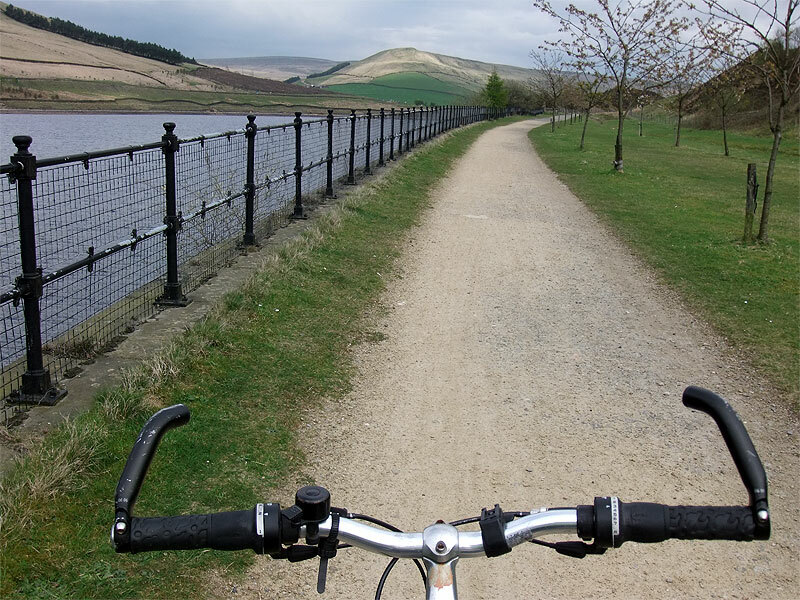 Soon after you get into Longdendale, and spend an hour or two on a railtrail alongside a chain of reservoirs with the Pennines boiling up in front of you. It's all rather splendid. At the top comes the Woodhead Tunnels, currently closed for electricity works, meaning you have to push your bike up a stony track and over the top of the pass. 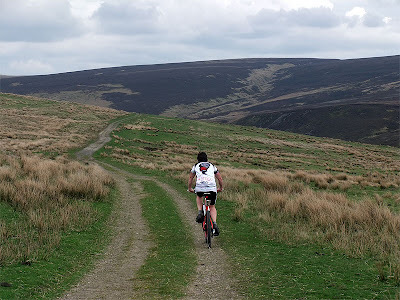 But it's all very exhilarating, with proper Pennine views and some safely remote-feeling remoteness. After the highest point of the TPT (435m) you railtrail flatly along a few miles to Penistone, which is a very funny place name, because if you block out some letters, you get the word 'Stone'! Mark came down from Hathersage to meet me in Penistone for a beer or two and a fine curry. We had coffee after in my luxury penthouse apartment that was my accommodation for the night. OK, it was actually a twenty-quid room above a lagery locals' pub. Pre-mesolithic woodchip wallpaper, carpets whose wildlife made them a site of special scientific interest, jauntily exposed wiring in the shower, telly that came off the Antiques Roadshow... it was actually excellent value, with lovely clean sheets, comfy bed, and stunning views. I was happy, and slept like a captain's log. This looks like the roughest section of the TPT (rough in the mountain-bike sense rather than in the suburbs of Liverpool sense). What was it like on your tourer?